Cars Suitability: All Maruti, Hyundai, etc. Genune leather car seat cover. Being a client oriented company, this is our responsibility to offer premium quality Leather Car Seat Cover. 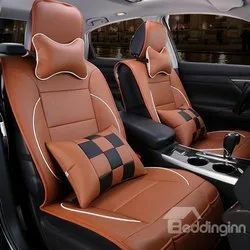 These Leather Car Seat Covers are tested by the experts at various levels till the final dispatch to ensure their quality. 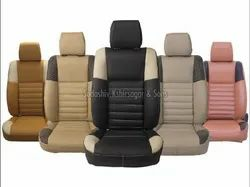 We deliver these Leather Car Seat Covers on time with proper safety. Price variations are flexiable as models like sidan or hesback cars. Material : Buffalo Grain Upholstery Leather. - Our Genuine leather is upholstery leather of European and Latin American origin with high density foam. - In genuine leather series eight colours and their combinations are available.